USGBC Blog: Who’s Benefitting from Project Haiti? 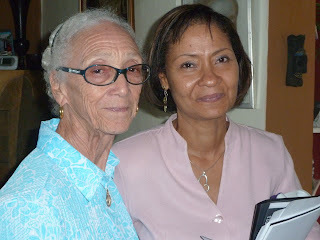 This is a model that began more than 25 years ago when Lucien’s mother – Lucienne Duncan, best known as “Manmie” – opened a non-denominational church in Lamardelle, a small village community on the outskirts of Port-au-Prince. A school opened a few years later, followed by a clean water drinking program, electricity generation, agriculture programs, a healthcare clinic and education on health, hygiene, nutrition and finance for the community population of 20,000. After several years, Gina and Lucien Duncan founded Fondation Enfant Jesus as a way to build upon and expand the services at Lamardelle, create additional humanitarian programs in other locations and to begin operating orphanages, also known in Haiti as “crèches,” in Lamardelle and Kenscoff as well as a crèche in Port-au-Prince, the one that was completely destroyed by the earthquake. 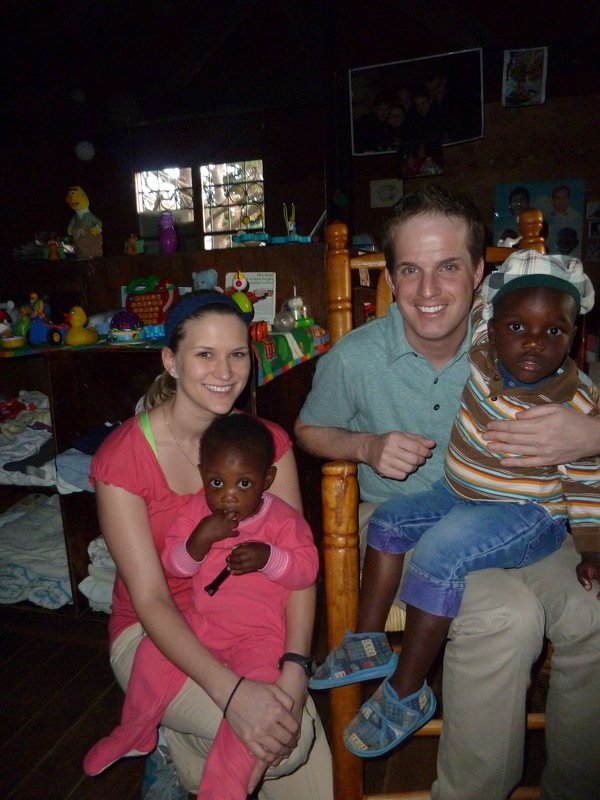 FEJ is one of Haiti’s most respected foundations, and the Duncan’s are proud of its impeccable reputation for how they handle adoptions. Gina is quick to note that “FEJ finds parents for children, not children for parents.” In a country plagued with children in need of loving homes, putting the young ones’ well being and emotional needs first has been her mission. I had the opportunity to stay at the Kenscoff crèche, which is located high up in the mountains of Haiti, accessible only by a long, winding road that’s paved intermittently near the top and takes nearly two hours to get to from Port-au-Prince. There are about 35 children at this location, ranging from two-months to around 10 years old. The caregivers are wonderful, and the kids are amazing, but it was an emotional experience as several of the younger children raised their arms in competition to be embraced from the moment we arrived. I was reassured to learn that most of the Kenscoff children have been adopted and are going through a transition process. The children at the Lamardelle location have a future more uncertain, but after being orphaned and abandoned, and far too often handicapped, sick or malnourished, they are finally in a caring and safe environment thanks to FEJ. By rebuilding the Port-au-Prince location into a brand new LEED facility, Project Haiti doesn’t just become a victory for the green building movement. This building is providing new hope and resources to FEJ and the Haitian community, ensuring many more families can be helped through FEJ’s services. Perhaps the most important element of Project Haiti is that through your support, the rebuilt Orphanage & Children’s Center in Port-au-Prince will take the burden of rebuilding off of FEJ, allowing them to focus on what they do best – improving communities, educating women and finding homes for the children who need them most. We need your continued support, as we are about $250,000 shy of our $1 million goal to complete this project. Please visit www.usgbc.org/haiti and make your contribution today. This is awesome, Marisa. Your organization is doing great work... keep it up!